Until now, you’d have been excused for thinking that there were two Beiruts – one the creator of lush, brass-fuelled Balkan or Mexican sway-alongs (see the first two and a half albums) and the other the purveyor of obtuse bedroom electronics (Realpeople Holland and the Rough Trade digital EP). 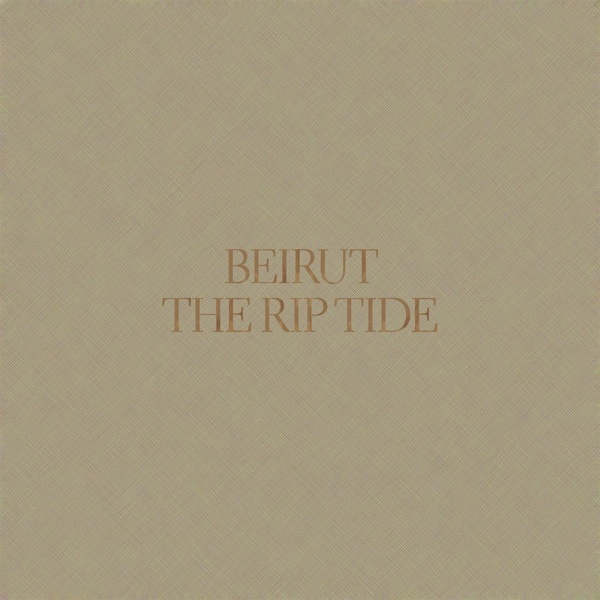 But somehow, on Zac Condon’s fourth full-length everything comes together to become one essential Beirut. The new album The Rip Tide, released this week, is probably the least dramatic yet, but I mean that as a compliment. It feels less effusive on one hand, and less deliberately awkward on the other. There’s no globetrotting backstory. It’s just the sound of Condon feeling at ease with himself and writing some damn fine songs. Recent interviews have seen him talking about settling back in his hometown of Santa Fe, and that figures. Not just because that city lends its name to a song in lieu of more exotic locations, but the whole thing just seems less restless, more sure of itself. Sure, there’s plenty that’s familiar. The brass is of course still strongly there. So to are the keyboards. And the songs are unmistakably Beirut. The Rip Tide is a pleasingly restrained effort – no flab, no superfluous songs. A mere nine tracks, clocking in at little over half an hour. But that’s all we need. Songs like ‘East Harlem’ and ‘Vagabond’, can already claim to be up there with the finest Condon has written, and given the luxury of time, we may well look back upon this as his finest work.